We have state-of-the-art warehouse that is well-maintained by the storage experts. They ensure that our wide array of products is kept safe before making the final dispatch. All our payment terms and conditions are as per the requisites of law. A payment agreement signed with the patrons is fulfilled by us ethically and with a high level of transparency. 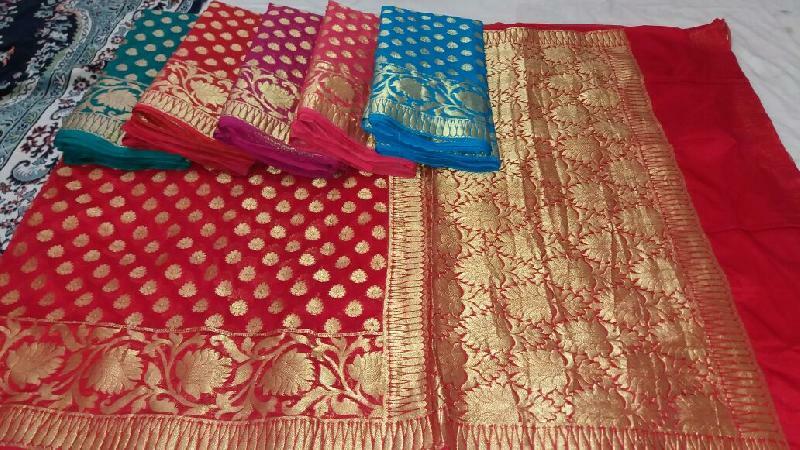 We make available, Banarasi Katan Silk Sarees, which are widely appreciated for their innovative and attractive designs and colors.